The wedding industry in the United States is a gigantic one, with over 2 million weddings taking place across the country every year and over 80 billion dollars spent annually. With that much money being thrown around it has to be going somewhere, and while most of it is spent on one-off purchases like dresses, décor and location, a big chunk of that is making many wedding planners very wealthy. Working as a wedding planner takes grit and determination, you have to learn to be thick skinned as you work with people who are expecting the greatest day of their life and in some cases cannot be pleased. The work does pay off however as unbeknownst to most people, top wedding planners can earn over $120,000 every year. The wedding industry is an enormous one and because most people only hope to be married once they are willing to pay as much as it takes to have their dream wedding, and in demand wedding planners have the luxury of naming their price. This is what happens when clients fight for the privilege of obtaining their services. So How Much Money Can a Wedding Planner Actually Make? Although the United States Bureau of Labor Statistics reports that the average salary for a wedding planner in the U.S. in 2004 was $44,260, there is an opportunity for a higher salary the longer you stay in the industry. 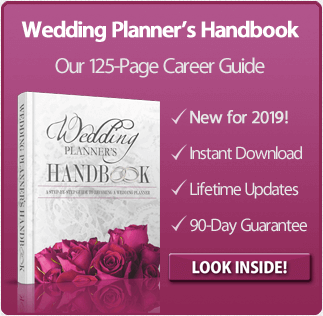 Wedding planners who have been working regularly for at least 5 years and have been building their client base report pulling in anywhere from 70 to 90 thousand dollars a year, while those who have been working for 10 years regularly gross $100,000 annually. This makes sense when you think about it for a little bit, almost all aspects of the wedding industry survive completely on word of mouth. The salary of a wedding planner can range significantly, from a standard salary for newly minted wedding planners to mid-six figures for the highly experienced and business savvy ones. From analyzing all of the examples the main issue seems to be dedication, only 20% of wedding planners have more than 10 years experience while 59% have less than 4 years experience. From these numbers it’s easy to deduce that most people who start working as a wedding planner do not have the tenacity to continue working as a wedding planner past a few years. The bottom line is that if you can get past the first several years of wedding planning, your salary stands to improve dramatically. Most clients will not be using the services of a wedding planner more than once (or at least they hope not to) so to get repeat business there needs to be a recommendation factor. The longer one stays in the industry the better their reputation will become and the more in demand they will be, this gives wedding planners the opportunity to start making significantly more money as they continue working. What Factors Can Affect a Wedding Planner’s Salary? The amount of time a wedding planner spends honing their craft and building their reputation helps them earn a higher salary but it by no means makes all of the difference. There are plenty of factors that need to be taken into account when looking at wedding planner salaries. The first is location. There is no way that a wedding planner living in a small town in rural Wyoming will make anywhere near as much as a wedding planner working out of Boston, which is the area responsible for the highest salary with the average exceeding $100,000. Experience is another big factor but falls under a different classification than length of time in the industry for several reasons. You can build up a reputation and get a good client list by working consistently but experience lends a different set of skills, with further knowledge comes the ability to understand the business aspect better and save money on accounting, budgeting and expenses. Other factors include the types of services offered; planners who offer full service planning and design will make more than planners who only offer day-of services. The size of the business also makes a huge difference, if there are four couples all getting married at the same time and a planner only has enough staff to handle one of the weddings then there are three more events slipping through the cracks, a larger business could handle all three accounts and bring in more money over the same time period. How Do Top Planners Make As Much As They Do? Planners who make the most tend to supplement their income by providing decorations and keeping a large inventory of wedding merchandise to rent to their clients. 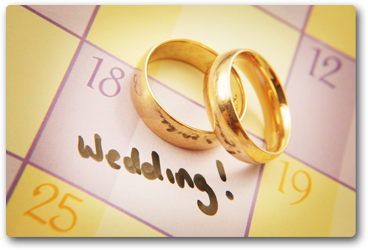 This gives the busy bride one less thing to have to worry about and brings in extra income for the business. As mentioned earlier small planners tend to offer only day-of or month-of services which are exactly what they sound like, as opposed to the top planners who offer more expensive all inclusive planning services, which are full service options that include all the planning and design and take much more of the planner’s time. These services cost the couple a lot more so it attracts the really wealthy, the people who can afford to pay whatever they want for their wedding. The main reason the top wedding planners make as much as they do is by working as hard as they can, they stay up to date on every possible marketing opportunity, which means spending time on social networking sites and creating profiles on every new one that pops up. If it sounds exhausting that’s because it is, for those people who can barely stay up to date on their own Facebook account the task may seem impossible but that’s what separates those who are at the top from those who are at the bottom. Wedding planning isn’t for everybody, but for those who decide that this is what they want to do with their lives the best advice is to not give up, the ones making over 120k a year sure didn’t and I bet they don’t regret a thing.